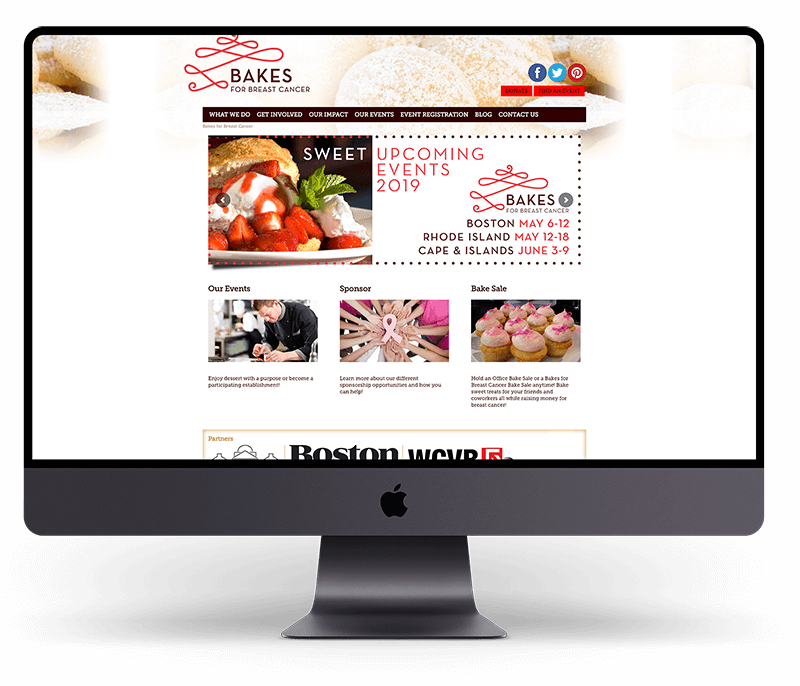 Bakes for Breast Cancer — which raises money to fund breast cancer research by partnering with restaurants and bakeries to sell desserts — came to us through a referral from their design agency, Pinkergreen, back in 2011. They had a new site designed, but needed developers to make it a reality. Over the years, the site has remained as we built it, though the charity has branched out from taking place in just the Boston area, to also include Rhode Island and Cape Cod. This resulted in a number of changes to the content and structure of the website, requiring a lot of rewrites to our initial WordPress theme, as well as a number of newer functionalities. In addition to hosting the site, we also provide close to 200 hours a year of pro-bono updates, help, content changes, and new code to help the charity run smoothly.